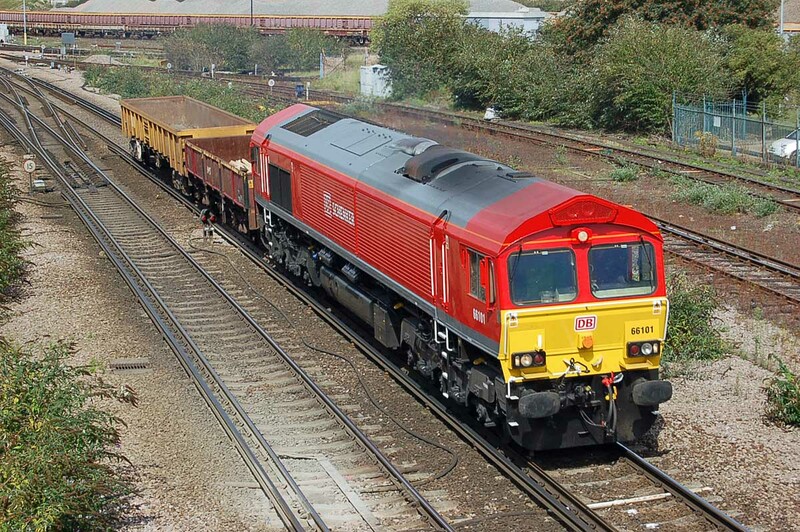 66101 in newly applied DB red leaves Eastleigh with 6V41 14:45 to Westbury, 16th August. Image by Ian Knight. 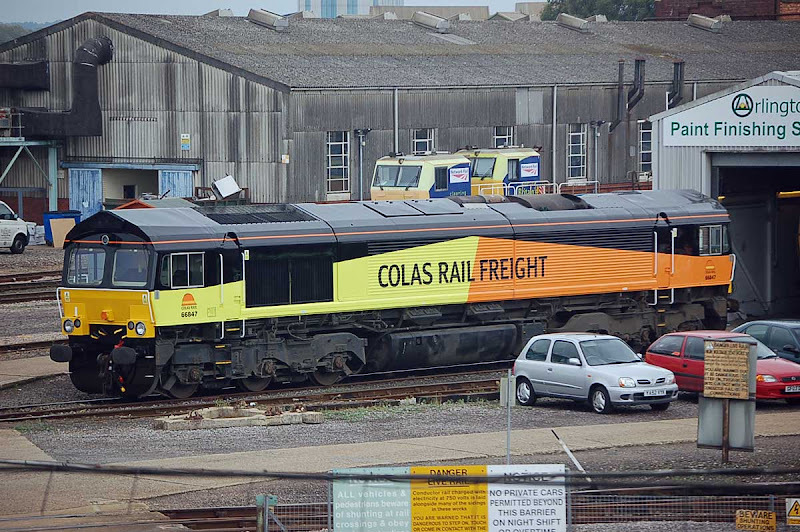 Newly repainted 66847 at Eastleigh Works (was 66574), 16th August. Image by Ian Knight. 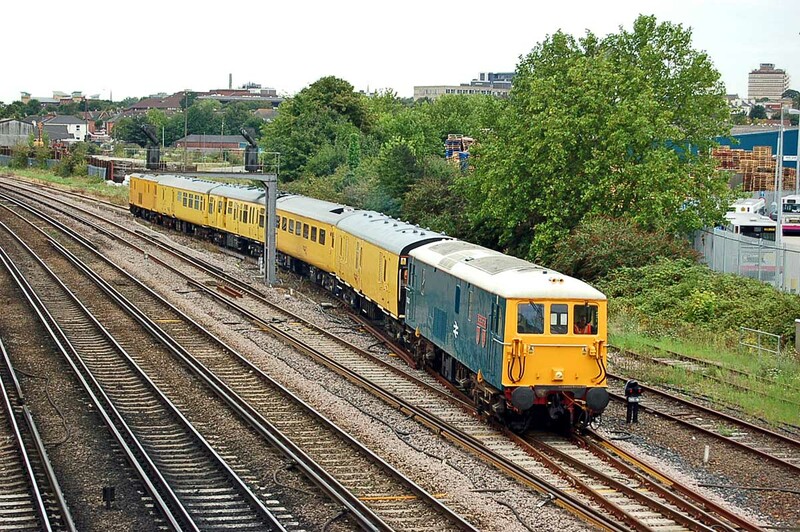 73201 + 73138 at St Denys, 17th August. Image by Ian Knight.